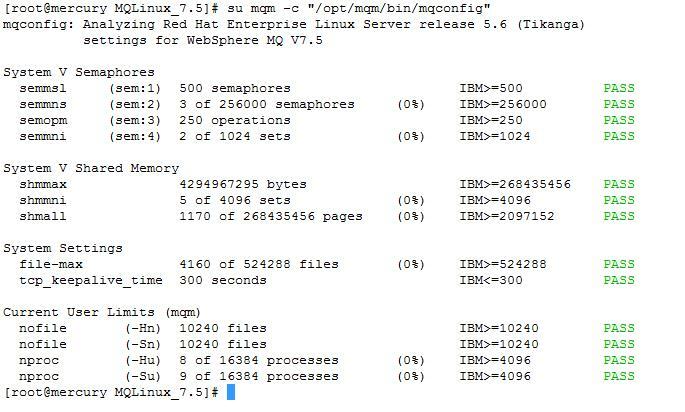 The mqconfig command is run to verify the system configuration matches or exceeds that which is required by IBM MQ. 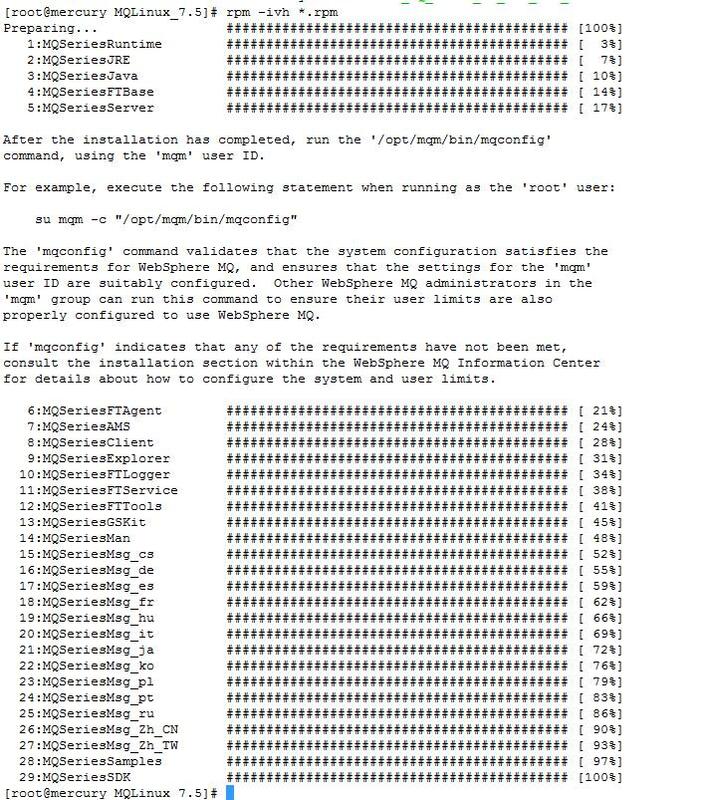 The configuration values are minimum values, and large installations might require values greater than those checked by this command. a) These parameters can only be changed with a root or a superuser . 3) To Modify these values as per the MQ recommendations , Log on as a user with root authority. If the system is heavily loaded, you might need to increase the maximum possible number of open files. 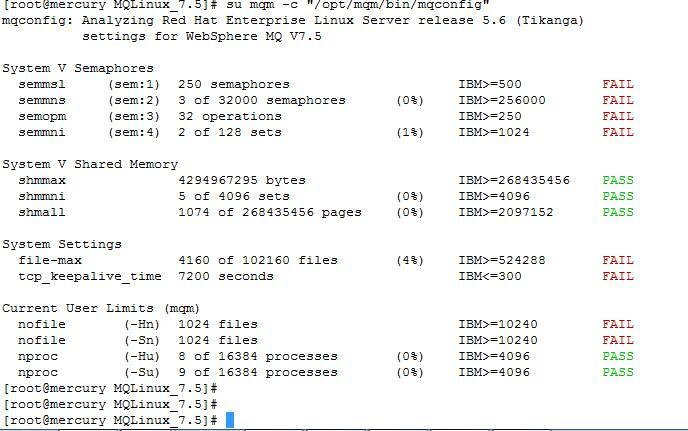 a) A running WebSphere MQ queue manager consists of a number of thread programs, and each connected application will increase the number of threads running in the queue manager processes. b) You should ensure that the maximum number of processes which the mqm user is allowed to run is not restricted . c) Set nproc for the mqm user to 4090 or more. 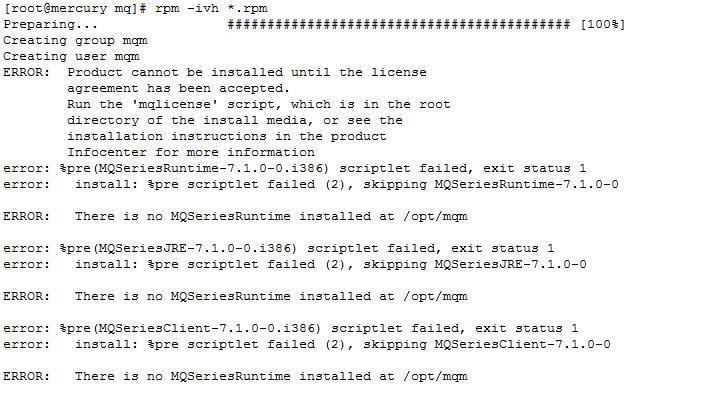 d) Edit the /etc/security/limits.d/90-nproc.conf to increase the nproc limit for all users .You can also set it for specific user too ..
b) Execute the “ ./mqlicense.sh” script to accept the License . 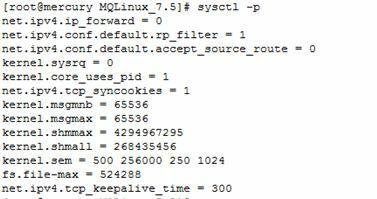 a) “rpm -ivh *.rpm” will take care of the dependencies between the rpms . 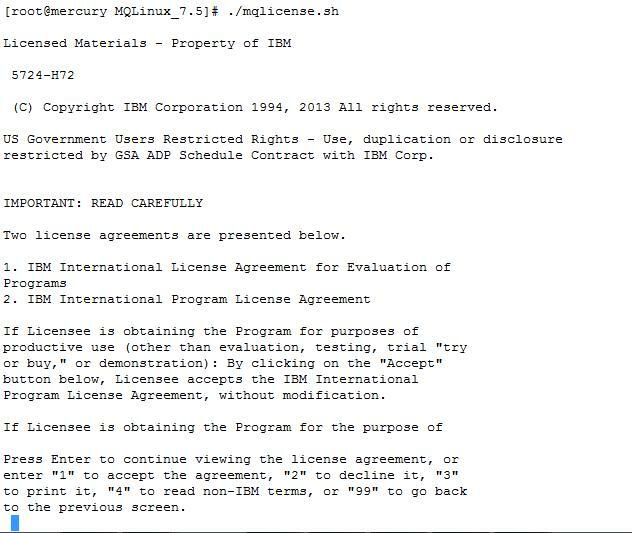 a) Use rpm -qi MQSeriesServer-7.5.0-2 to get more information on the specific package like versions , path of installation , license etc. b) Also you can add “. 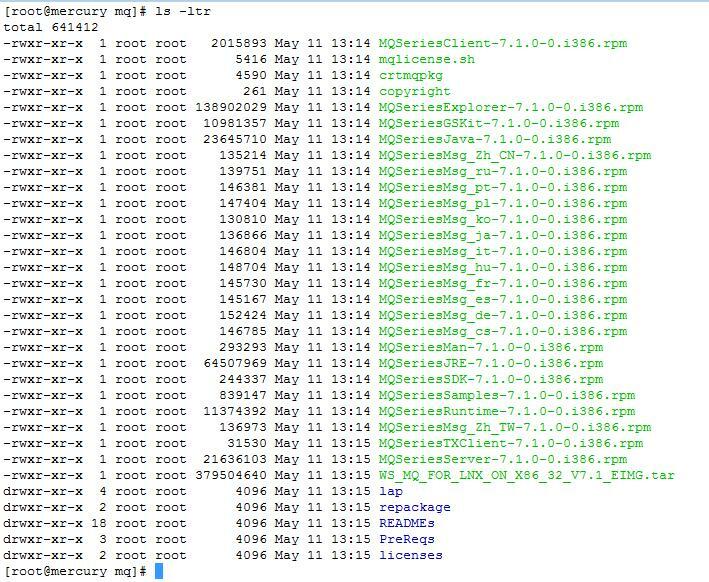 /opt/mqm/bin/setmqenv ” in the .bash_profile file of the user to load the Env Variables every time automatically when logging in. 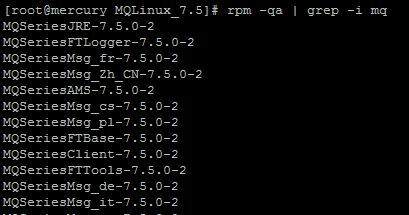 This is how we install the MQ on a Linux Server .